It's been a quarter century since the Buffalo Sabres have had an 18-year-old make their roster right after being drafted. Pierre Turgeon did it in 1987, the last time the Sabres had the No. 1 pick. This year, they could have two teenagers on the roster. The Sabres traditionally have lacked size up front, especially on their top two lines. General manager Darcy Regier hopes he's eliminated that problem for the future by taking a pair of big centers in the first round of the 2012 NHL Draft. Buffalo also has a handful of prospects who have had a taste of life in the NHL and are trying to earn full-time jobs this season. 1. Mikhail Grigorenko, C: The Sabres took a Russian player in the first round for the first time since 2000 when they selected Grigorenko from the Quebec Remparts of the Quebec Major Junior Hockey League with the 12th pick in this year's draft. At 6-foot-3 and 200 pounds, Grigorenko has the kind of size rarely seen in Buffalo, and the Sabres are hopeful he can be the No. 1 center they haven't had since the days of Pat LaFontaine. Grigorenko said he thinks he has a good chance to make the roster this fall. "Just believe that you can compete with these guys," he said when asked about stepping right into the NHL. "Just train a lot and work hard. When I'm going on the ice, try to play with the same confidence I had in juniors." 2. 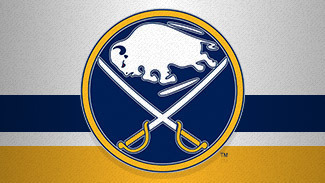 Zemgus Girgensons, C: Two picks after taking Grigorenko, the Sabres traded up with the Calgary Flames to select Girgensons, a Latvian center from Dubuque of the United States Hockey League, then signed him away from the University of Vermont. Girgensons also is big (6-1, 198 pounds), feisty (115 PIM in 100 games) and skilled (45 goals in the past two seasons). He can play on the wing as well as in the middle, and his north-south game should translate well into the pros. Unlike Grigorenko, Girgensons can be sent to the American Hockey League if the Sabres decide he's not ready for the NHL. "We're delighted to have him here, delighted he joined us to play pro," Regier said. "We think that he's a prototype NHL player, Buffalo Sabre player and will be able to make that transition from the USHL to professional hockey." 3. Joel Armia, RW: The Sabres signed their 2011 first-round pick during the offseason, but he will stay in Finland for another season. Armia, who had 18 goals and 38 points with Assat in the SM-liiga in 2011-12 as an 18-year-old, uses his size (6-3, 187) to protect the puck and shows good hockey sense and a quick release. Armia is a mobile player with an array of offensive abilities who projects as a top-six forward and a pure goal-scorer. "We've been very impressed by Joel's ability to make an impact in a professional league at such a young age," Regier said. "His combination of size, skill and potential makes us hopeful that he will be a valuable asset to our organization for a number of years." 4. Mark Pysyk, D: Pysyk, Buffalo's top pick in 2010, is ready for his professional debut after leading the Edmonton Oil Kings of the Western Hockey League to the Memorial Cup tournament. Pysyk, taken No. 23 in 2010, is a mobile defenseman who moves the puck well, though his offensive game lacks a "wow" factor. He'll need to get stronger to cope with NHL life along the boards, but he has shown good defensive instincts, breaking up plays with his stick and positioning. 5. Marcus Foligno, LW: The younger son of former Sabres star Mike Foligno was one of the sparks in the Sabres' late run toward the playoffs. His 13 points in 14 games were a shot in the arm for a team that had struggled to score. He's got a heavy shot and does most of his scoring down low and around the net, cycling the puck. He'll also finish every check, providing the kind of physical play the Sabres have often missed. 6. Brayden McNabb, D: At 6-foot-4, 204 pounds, McNabb should provide the kind of size the Sabres need to cope in the rugged Northeast Division. He's big and more than willing to use that size. He makes a good first pass and showed decent mobility and a big shot during a call-up by the Sabres last season. 7. Jake McCabe, D: Buffalo's second-round pick in the draft this year had three goals and 12 points in 26 games during his freshman season at the University of Wisconsin after playing for the U.S. National Development Team Program. He's an excellent skater who uses gap control to keep the play ahead of him. He's not a big hitter, but figures to become more physical as he gets older. McCabe makes a good outlet pass and has a shot that's good enough to earn him time on the power play. 8. TJ Brennan, D: The Sabres re-signed their second-round pick in 2007 after back-to-back seasons of 15 and 16 goals in the AHL earned him an 11-game stay in Buffalo when injuries hit the blue line last season. Though he's been a goal-scorer in the minors, he's best known as a hitter who makes the highlight reels regularly. He can get a little too hit-happy at times, but he has the muscle to move forwards off the puck and a big shot from the point. 9. Jerome Gauthier-Leduc, D: Leduc, Buffalo's third-round pick in 2010, is an offensive defenseman who's a work in progress in his own zone. He can rush the puck end to end and dangle around opponents – combine that with a hard, accurate shot and Leduc will put up points. He still has a lot to learn in his own zone and at 6 feet, 190 pounds, he needs to get stronger. 10. Justin Kea, C: After trading Paul Gaustad at the deadline in February, the Sabres have an opening for a shutdown center, and they hope Kea will grow into that role -- at 6-4, 215 pounds, he's got the size, and he's shown in juniors he can use it to make life difficult for opponents. He's a good skater, an effective penalty-killer, and solid in the faceoff circle, though he won't contribute a lot offensively.